A sickly man seeks recovery in a seaside cottage. A temple slave tends a man due to be sacrificed. A soldier releases a genie. In seven fantasy short stories and novellas, men find passion with other men in the most unexpected places, and even the gravest circumstances may open the door to hope and love. This anthology includes two brand-new short stories. 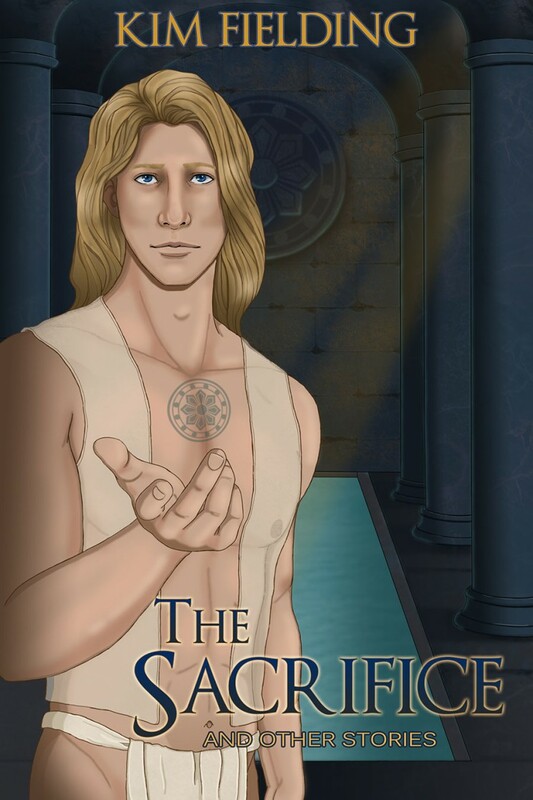 In “The Sacrifice,” Rylo is a temple slave tasked with comforting a man who is scheduled to be killed in the morning. In “Chasing Away Cold,” Daku builds an ice sculpture of the god Jarli in order to ensure the end of winter. The collection also includes three novellas and two additional short stories, gathered for the first time in a single volume. “Treasure” introduces Jules, a young man who travels to the quirky seaside town of Urchin Cove to regain his health—and finds an unexpected treasure washed up on the beach. Xolani, a soldier in “Three Wishes,” picks up a small glass bottle and unleashes a surprise. Another soldier, Volos in “Guarded,” will risk everything to save Prince Berhanu. In the sequel, “Mato’s Tale,” an unassuming innkeeper gets a chance for adventure. And in “The Downs,” Enitan is unjustly banished and comes to discover that the demons he must face aren’t the ones he expected. Join Kim Fielding on journeys through imagined worlds where magic is commonplace and romance lies just around the next bend. All royalties from the sale of this book will be donated to Doctors Without Borders/Medecins Sans Frontiers. Available now for preorder from Amazon. Releases November 27. Although he didn’t understand, he nodded. Then he gave her the cup and turned to complete the ice man. He took particular care over the face: a narrow chin and broad cheekbones, far-set eyes with a slight downward tilt at the outside, a strong nose, and lips stretched in a wide smile. The ice man’s hair was straight, falling well below his shoulders. “You’ve made him beautiful,” Yalamay said. Daku couldn’t say whether she’d gone and returned or had been standing there the entire time. Aside from Daku’s mother, people rarely praised him, and Yalamay was always sparing with her commendations. Daku should have preened under her rare words. But he was too preoccupied with what he had created. The ice man looked so real, so joyful. And in a few short hours he would be destroyed. Daku swallowed with difficulty, but he managed a small smile when Yalamay patted his back. “Thank you for letting me do this,” he said. “Don’t go!” Daku cried, as if she could somehow stop death. The Servant Duchess by Vicktor Alexander – Cover Reveal! “What Inspires Me”, by Vicktor Alexander, author of The Servant Duchess of Whitcomb!